Venomous snakes are fascinating and scary at the same time. A snake is classified as venomous when they’re capable of injecting venom. A snake is venomous by definition as it harms you via touch or when you eat it. These top ten most venomous snakes are feared in the countries they live because of their toxic venom that can kill a human rapidly. In this article, we’ll be talking about the lethal dose (LG) measurement. This measurement is the milligrams of toxin per kilo of body mass. For example, a certain type of snake with LD50 will kill 50% of it’s prey on average. The rattlesnake stands alone as America’s only snake on this list. At least the rattle on the end of it’s tail offers as a warning to those wandering too close. 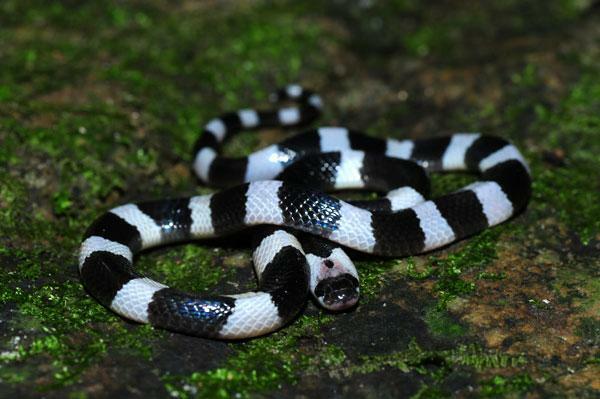 They are a member of the Pit Viper group of snakes and can strike at 2/3rd of their body length. The Eastern Diamondback is North America’s most venomous species. Juveniles are unable to control how much venom they inject, making them more dangerous than the full grown Diamondback. Nearly all types of rattlesnakes have a hemotoxic venom. If you are bit by one, your tissue will be destroyed and organs will degenerate which causes blood clotting. Even after treatment, it is likely that there will be some scarring at the very least. 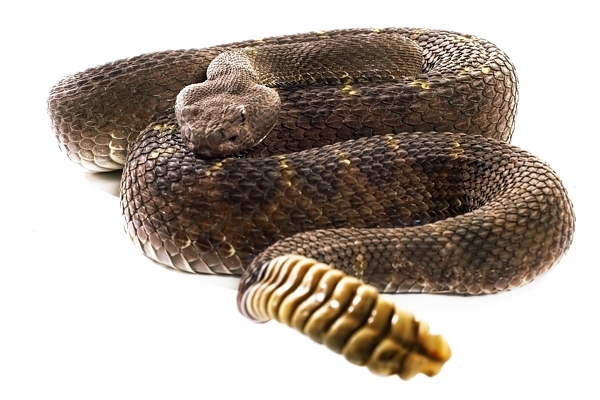 It’s likely that if someone is bit by a rattlesnake, they will die or lose the limb close to where the bite occurred. If a rattlesnake bite is untreated, they are more often than not, fatal. If anti venom is administered quickly enough, the death rate is reduced to about 4%. Found in Australia and New Guinea, the Death Adder hunts other snakes. Some of the snakes that the Death Adder ambushes are included in our list of most venomous snakes on earth. They look similar to a Viper with a short body and triangular head. 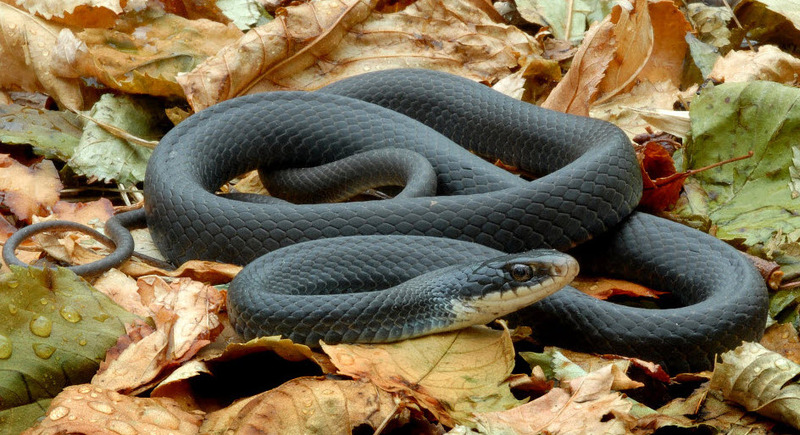 They are capable of injecting between 40mg-100mg of venom with a 40 LD – 50 LD. The bad news is the Death Adder is one of the most dangerous bites in the world as their venom is a neuro toxin. If you’re bit, you’ll become completely paralyzed and within 6 hours, your respiratory system will fail and you die. 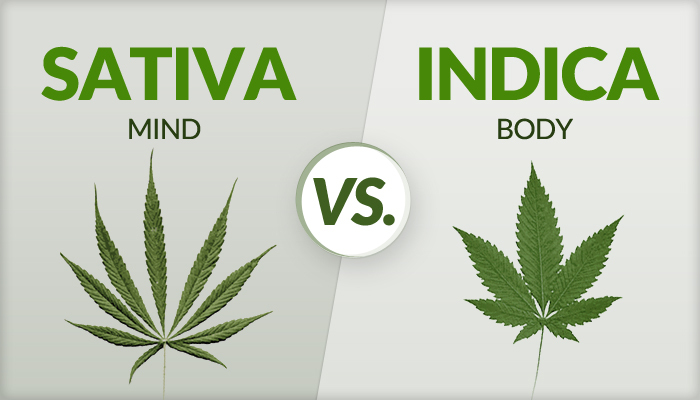 The symptoms are not immediate which means you should have time to get antivenin which is where the good news comes in. 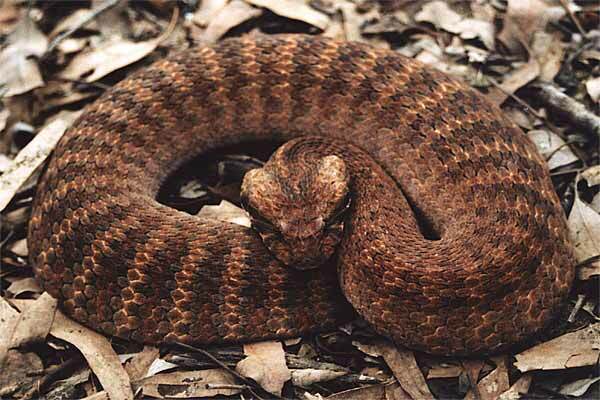 The antivenin is highly successful in treating a Death Adder bite. 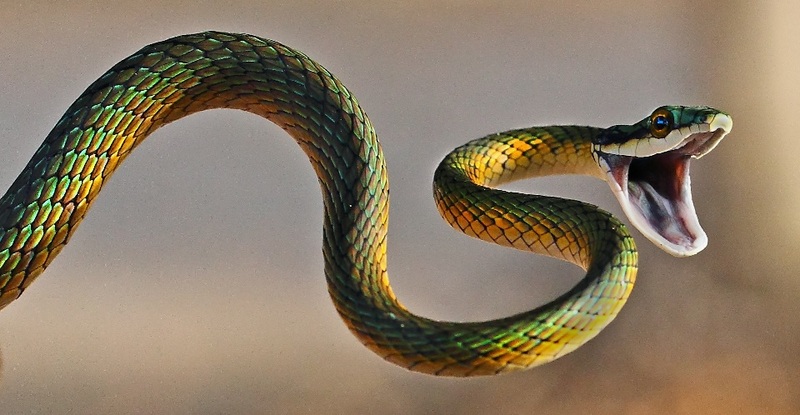 This snake has the most rapid strike in the world and can go from sitting to strike and back again in 0.13 of a second. Vipers are seen all over the world but the most venomous in the family live in parts of Asia such as India and China. The Saw Scaled Viper and Chain Viper are nocturnal and get angry quite quickly. They are often only seen after a heavy rain and are incredibly fast. Their venom often causes symptoms that are right where the bite is such as pain and swelling. Other unsettling symptoms are bleeding from the gums due to a reduction in blood pressure and heart rate. Victims to this bite also experience blistering which can spread throughout the entire limb. Severe pain will be felt for 2-4 weeks. Death may come slowly as septicemia, respiratory or cardiac failure set in anywhere from 1 day to 2 weeks. 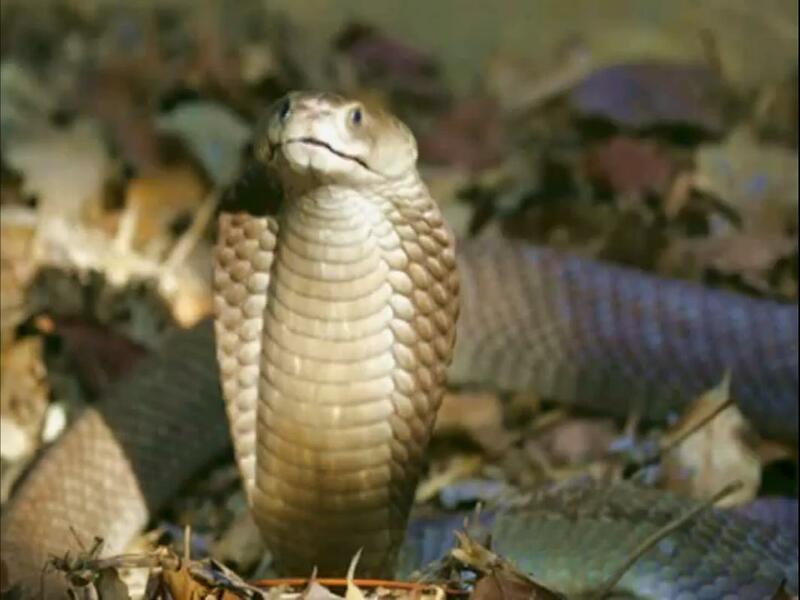 Most cobras are venomous but not considered deadly, the Philippine Cobra is an exception. These cobras are able to spit up to three meters which means if you’ve run into one, you’re probably in trouble. The neuro toxic venom prevents your cardio and respiratory system from functioning properly. For those bit by one of these top venomous snakes, the respiratory system will become paralyzed and death will occur within a half hour. The tissue damage is not major but neuro toxins prevent nerve signals. Symptoms that follow the bite will include vomiting, convulsions and abdominal pain. 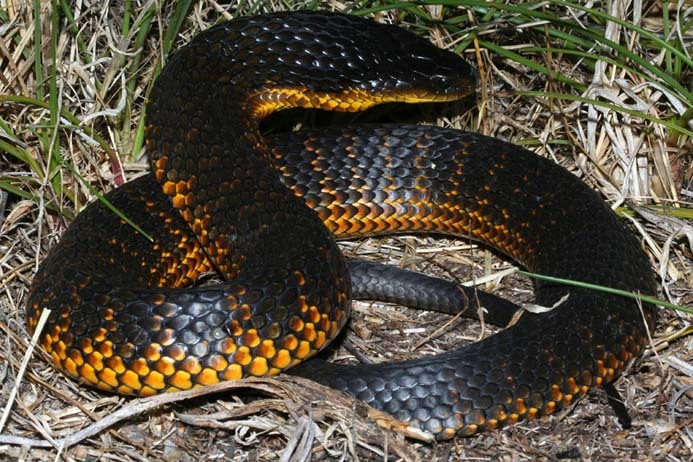 The neurotoxic venom in the Tiger Snake is extremely potent. This snake which makes Australia home can cause death within 30 minutes of it’s bite. 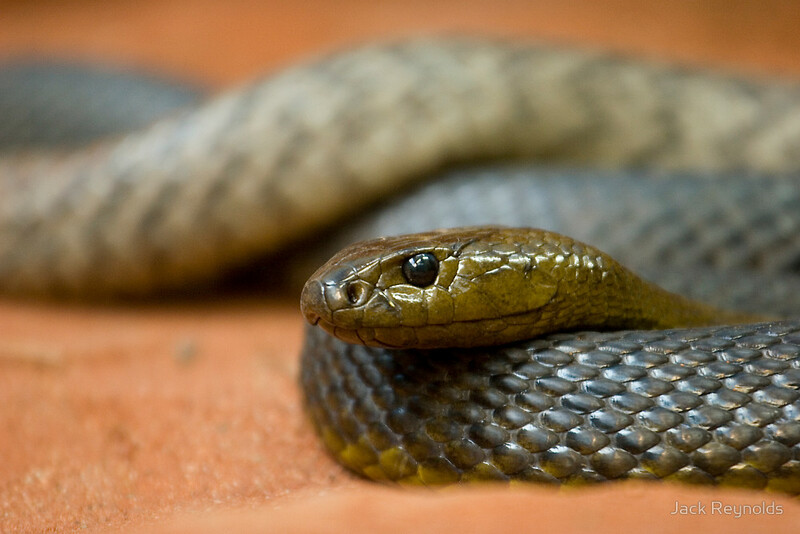 Before an antivenin was found, a Tiger Snake bite had a fatality rate of up to 70%. Symptoms such as pain in the feet or the neck along with sweating are the first things a victim experiences. It becomes hard to breathe and eventually paralysis sets in. A Tiger Snake is non-aggressive so if you leave it alone and don’t accidentally corner it, it will usually leave in peace. If a Tiger Snake should strike, it rarely misses. The Black Mamba became known to most of us from the first installment of Kill Bill and is found through much of the African continent. These are the fastest snakes on earth with the ability to move up to 20km/h. They are aggressive and strike with great accuracy with the possibility of striking over and over again. They have the ability to strike a victim up to 12 times with a single bite being venomous enough to kill between 10-25 adults. The venom, like many other venomous snakes is a rapid action neurotoxin that has an LD50. It’s capable of delivering an average of 125 mg of venom and up to 400 mg. The victim of a Black Mamba bite will start to feel a tingle all over the body. 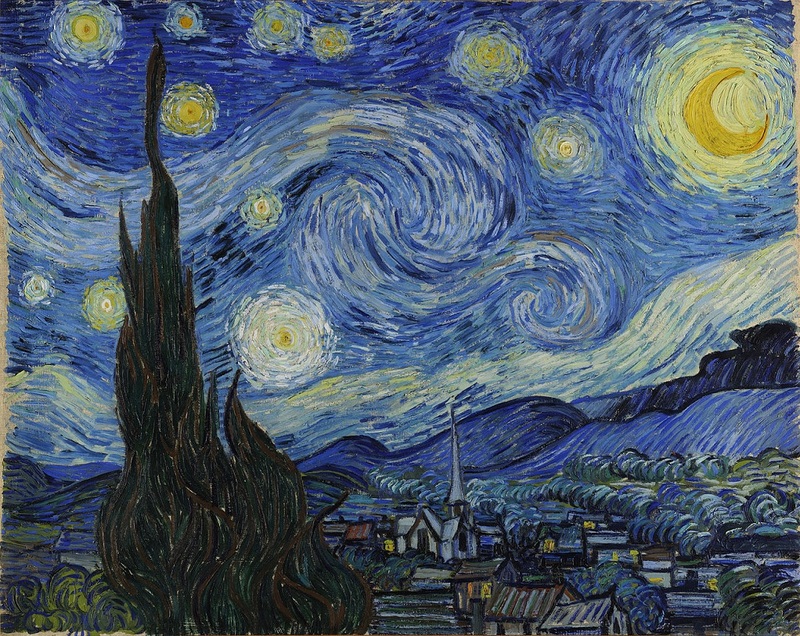 Vision problem will develop and the mind becomes very confused. You may begin foaming at the most and be unable to control your muscles. 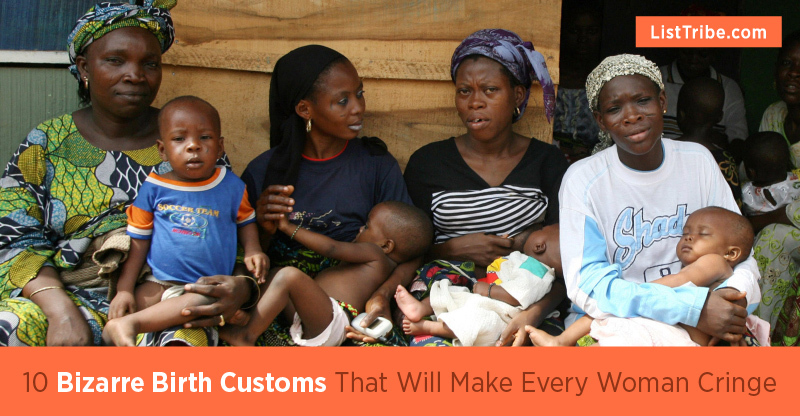 Rapid death causing symptoms will set in quickly and medical attention is needed right away. Shock will set in and all of the body’s systems will begin to shut down. Paralysis or a heart attack will occur and eventually you fall into a coma and death. If antivenin is not administered, it is almost 100% guaranteed that death will occur. A victim can even die as quickly as 15 minutes if the bite went straight into the veins. The measurement of a Taipan Snake’s venom is that it’s venomous enough to kill 12,000 guinea pigs. 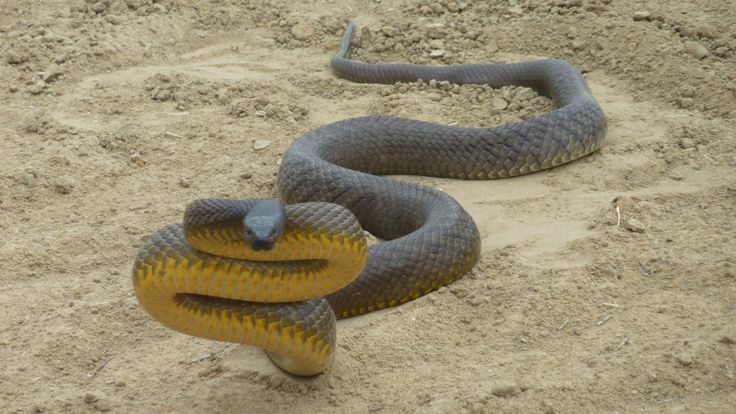 A resident of Australia, the Taipan’s venom will block arteries due to blodd clotting. It is aggressive and extremely agile, giving it a reputation of being similar to the Black Mamba in many ways.The venom is also very neurotoxic and prior to finding the antivenin formula, nobody had ever survived one of these bites. Death comes quickly, usually within one hour. If a victim does survive, there is often a long period of time in the hospital. A snake found in South East Asia and Indonesia, the Blue Krait is the top venomous snake of it’s species. Even when antivenin is utilized, half of the bites from a Blue Krait cause death. Blue Krait are considered to be cannibals as they are prone to hunting other snakes and even their own species. They awake in the night and are quite shy, preferring not to fight when threatened. Their neurotoxin venom is extremely potent and the symptoms will quickly set in. Muscle paralysis along with cramps and tremors will precede the paralysis. Thankfully, because the Blue Krait is noctural, it’s not often a person has been bit. This is probably a good thing being that before antivenin, there was an 85% fatality rate. 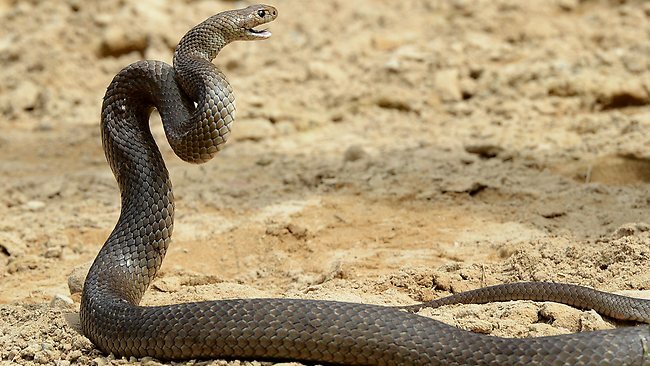 The Eastern Brown Snake is the most venomous with 1/14.000 of it’s venom being able to kill an adult. It prefers to live among the populated areas of Australia and is fast moving. It is aggressive and may even chase it’s prey and strike it over and over again. Even the young snakes are capable of killing a human. It has neurotoxins and blood coagulants in it’s venom, making it extremely lethal. They usually only react to movement and often many of their bites do not contain venom in them. This snake is the godfather of the venomous snakes that inhabit our planet. 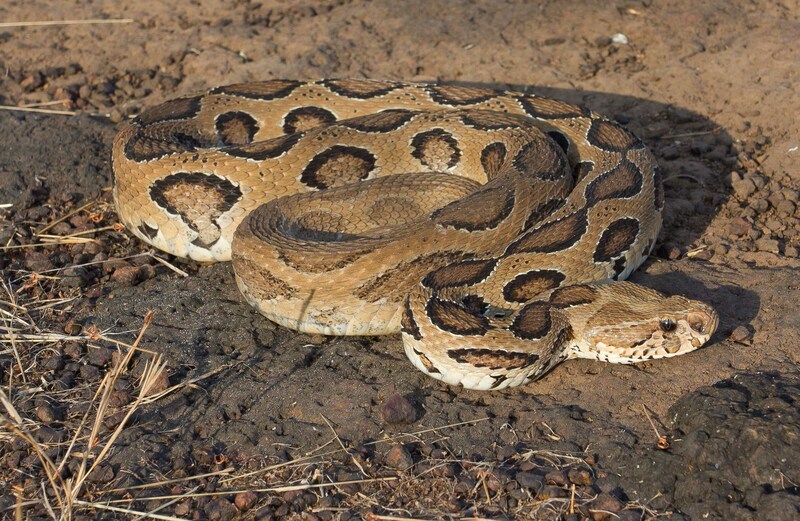 A recorded bite of the Fierce Snake showed one bite at 11mg is capable of killing 100 humans. It has an LD50, is ten times more venomous than snakes that are capable of killing an adult human. They are far more common that that of the Cobra. The Inland Taipan isn’t aggressive and humans don’t often run into them. The potential to kill a human within 45 minutes is possible but luckily, there has never been a fatality recorded. It’s a sea snake that has the ability to kill 1,000 people with just a couple of milligrams of it’s venom. 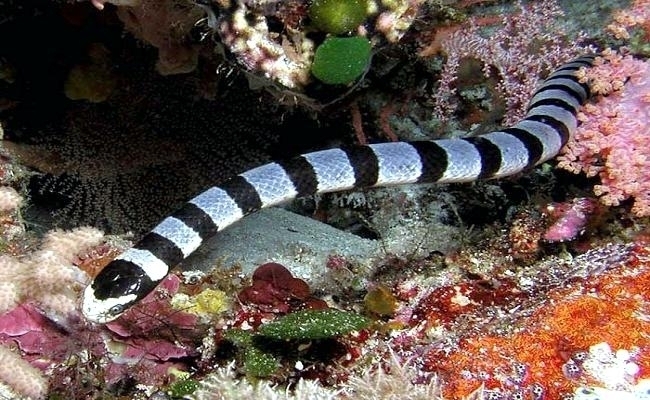 The Belcher’s Sea Snake is not a painful bite but as the neurotoxin sets in, you’ll begin to lose feeling of your extremities. You suffocate slowly and painfully. They are docile creatures by nature and less than a quarter of their bites have any venom excreted. Often, it’s a fisherman that is a victim to the Belcher’s Sea Snake bite. The species is encountered by a fisherman when they become caught up in their nets. They can be found in S.E. Asia as well as Northern Australia. Snakes are venomous, not poisonous. Thank you! I can’t tell you how many times I’ve been laughed at when I say…unless you’re biting, licking or eating a snake is it poisonous. If it bites you it’s venomous!!! What Brian Rose said. There does exist one poisonous snake in Japan, but in general, snakes are not poisonous (i.e. it’s quite all right for you to bite THEM). But many of them are venomous (i.e. don’t let them bite YOU). venom is a technical word for poison in reptiles effects is not different of poison and venom. indeed venom of reptiles act quikly and is more fatal. What about the Indian King Cobra (Rajavembala)??? 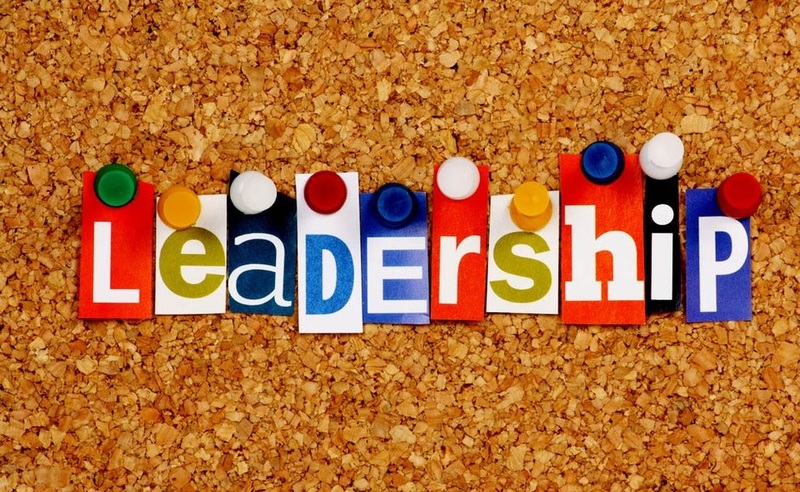 I think the list need to be revised…. Indian Cobra is the largest venomous snake & one of the deadliest snake but it’s venom is not as potent as the snakes mentioned here….. It is the quantity of released venom which makes the Indian Cobra deadly not the potency of venom. Brian Rose, yes they have poisonous and venomous mixed up. But I think the count of poisonous snakes in the world is two? Missed the Coral snake. USA snake with neurotoxic venom. What about matilda viper the recently discovered one? Do you… know what poisonous means? Because I really think you don’t… There are only a handful of poisonous snakes. Pls, full detail each top 10 poison snake. e.g : name, place, speed, color, name of venom found in snake body, etc. Very sloppy journalism. Poisonous means that uf we eat it we will succumb to the poison by either getting sick or dying. The term you should refer to is venomous. This relates to the toxicity of the venom delivered by a snake when biting. The only way you could call it poisonous is if you milked the snake first and drwnk the venom. Any average reptile fancier would know this difference. I am guessing its a clickbait site and the journalist is a young teenager paid in pennies as using the term poisonous whwn referring to venom is Rookie error 101. Thank you Michael, title is now fixed. Will go through the article and fix all other problems. This back and forth went on for a while, until they were interrupted by the spasms of their friend as she died from the snake’s venom or was it poison. Yea they kind of quit caring too, as they watched their friend die without the antivenin that was still in their hand. This article states that snakes have LD50 ratings, but does not say what those are…LD50 stands for Lethal Dose 50 percent, meaning what amount of something will cause 50 percent of the test subject population to die… but the article never says what those amounts are… and how about a spellcheck?? ?